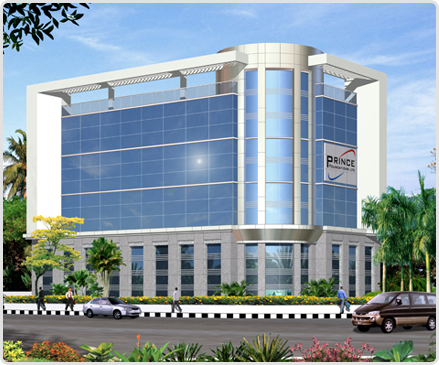 Prince Foundations Ltd., Corporate Office, No. 61 Ormes Road, Kilpauk, Chennai – 600010. He started his career as an importer and exporter of various metals, ventured into iron and steel manufacturing and many other businesses owning to his entrepreneurial acumen. He has outshined in all his endeavors. With such vast experience it was no surprise when he forayed into real estate space 30 years ago & changed the game of Chennai realty industry, to create a brand Prince Foundations, 'The real estate company in Chennai' from being the first one to build malls, IT buildings and townships, he has always been a visionary . 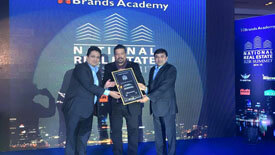 He has raised the brand's goodwill as the undisputed Prince in true sense making it one of the top 5 builders in Chennai. A master of all trades in the true sense Mr. Ashwin Kumar Kamdar's vision and high level of leadership drives the company forward to achieve our goal of becoming atop builder in Chennai. A Mechanical Engineer from Guindy Engineering College, M.S in Industrial Management from Columbia University and been in business for past 40 years. With a humble beginning as a manufacturer and exporter of stainless steel products & 25 years of experience in specific in the real estate development and execution of contracts. The concept, design, implementation and management of all projects are in his able hands. Handling capable and vast teams within one of the biggest and busiest Chennai real estate builders is not an easy task, but Mr. Sharad Vasanji has been the guide and mentor for all engineers and project managers who under his leadership execute all projects from plans to reality all managed in-house and boasting highest standards of construction and quality marking the quality promise of Prince Foundations. At the young age he has successfully shouldered huge responsibility and assisted his father in the incorporation and running of Prince's new projects in Chennai. 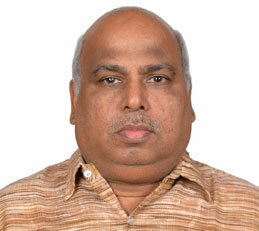 His Portfolio includes purchase of materials, handling projects and complete office automations. 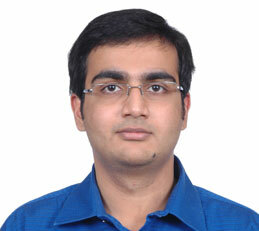 He manages and front runs all the technological factors in handling of projects and the company. He has an eye for finesse in every aspect with a great taste in design and quality making him the apt resource to choose and inspect materials to be used in every project and to keep a thorough check on the specs. An enterprising professional with vast experience in sales & marketing across varied industries like Jewellery, Finance and Real Estate. His education in Commerce and a decade's experience in the business world make him apt for handling everyday Sales and Marketing at Prince Foundations Ltd. 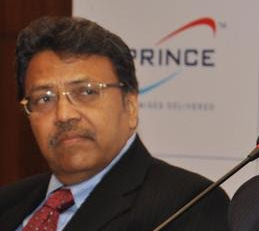 He handles all current and helps strategize in the Prince's upcoming residential projects in Chennai. 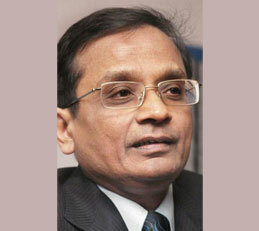 Mr. Kalyanaraman is a graduate in Physics with a CAIIB qualification from the Indian Institute of Banking and Finance. His association with the promoters spans over three decades. Being an Ex-banker with 17 years of experience at Bharat Overseas Bank, he takes care of the entire Administration, Fund Management and all Legal Documentations at Prince Foundations. 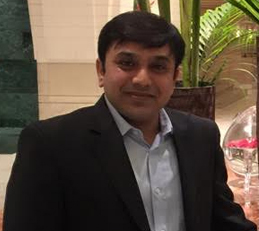 A Commerce graduate with a post graduate diploma in Sales & Marketing from National Institute of Sales (N.I.S.). 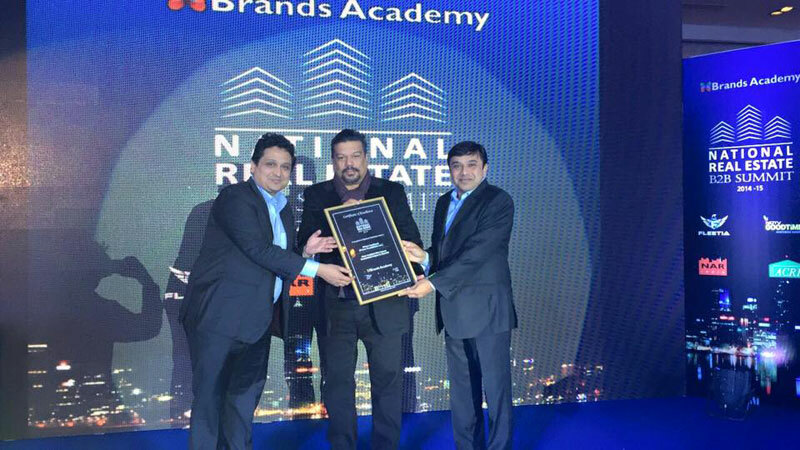 He is known for identifying prime lands and completing all the due diligences for clearing the titles of the lands, Assistance in designing of projects and getting Approvals from all statutory authorities in record time. 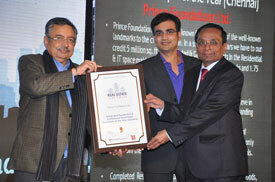 At Prince Foundations, he is responsible for Sales & Marketing of all Residential and IT Projects. A Chartered Accountant with a successful professional practice since 1982. He was involved in the establishment of surgical equipment’s manufacturing unit and a pharmaceutical distribution unit. With his over 20 years of experience as a Chartered Accountant, he brings immense value to Prince Foundations, in taxation aspects. A science graduate with over 35 years’ experience in the area of distribution and supply chain management of consumer goods. 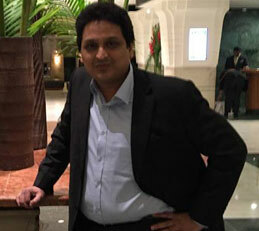 His expertise in purchasing domain comes from his complete understanding of the supply chain. He leverages this knowledge to meet the procurement requirements of material & service, helping the organization in meeting the quality commitments made to customers. He is also a demonstrated expert in managing the budget aspect of projects helping Prince Foundations deliver high quality but cost end products. Our client list reads like a who's who of the IT Corporate World. KLA Tencor Software India Pvt. Ltd.
Dun & Bradstreet Transunion Analytic and Decision Services Pvt. Ltd.
M/s Thinksoft Global Services Ltd.
DatamarkProdapt India BPO Pvt. Ltd.
M/s. Laser Soft Infosystems Ltd.
Enqos Technologies and many others. - Prince Courtyard by Prince Foundations Ltd.
Tower 3901: 3 BHK - 1530 Sq.ft. Tower 4914: 1 BHK - 610 Sq.ft. Tower 1, Wing-A, 901: 3 BHK - 1790 Sq.ft.